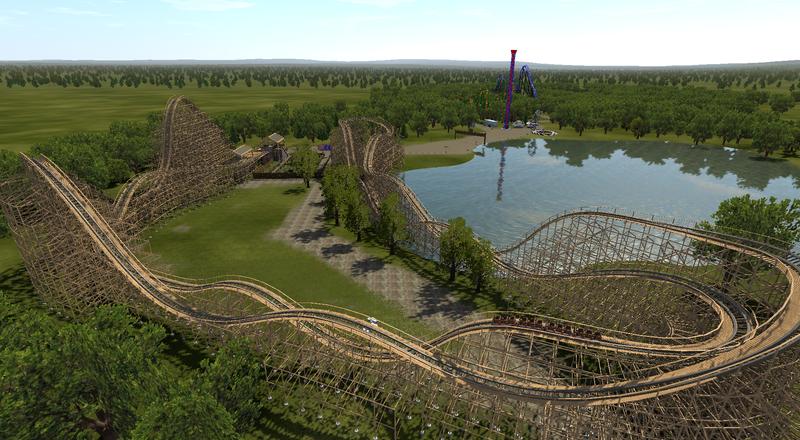 Board index ‹ Roller Coaster Games ‹ NoLimits Coaster 2 ‹ What are YOU doing in NL2 Right now? What are YOU doing in NL2 Right now? Re: What are YOU doing in NL2 Right now? 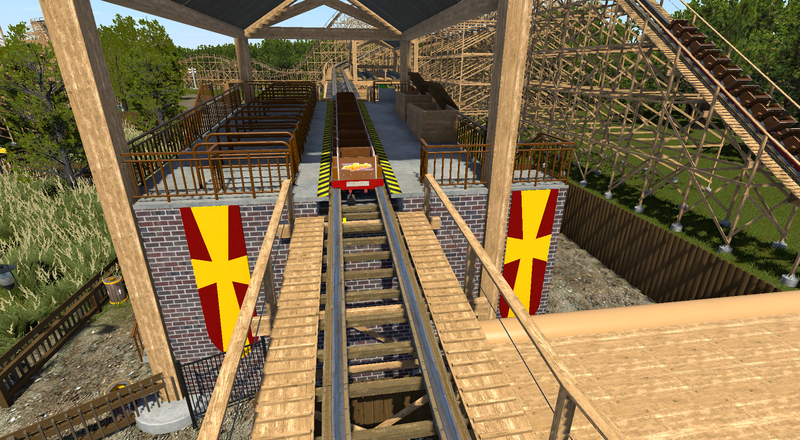 I'm working on a super big Dinn coaster. 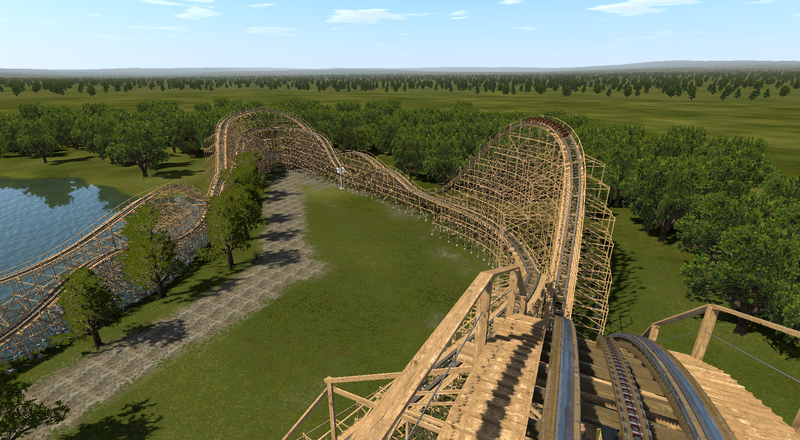 My goal is to make it the longest coaster in the world, but I'm not sure it will happen. Does anyone know the optimal color for wood, though? That's an interesting idea! I would think an animal would stay lower to the ground during their hunt or is this more a bird looking for his prey kind of thing? Thanks for the feedback. I was going for the stalking into explosion of speed aspect. The coaster is timed well where it "gets its kill" at the end (Overbank after cobra roll.) I understand what you mean by being low to the ground, though. Hey everyone, I've had NL2 since it came out, but just registered today. So many great project throughout all the pages! Anyways, right now, I'm starting a SFGAm Recreation project. 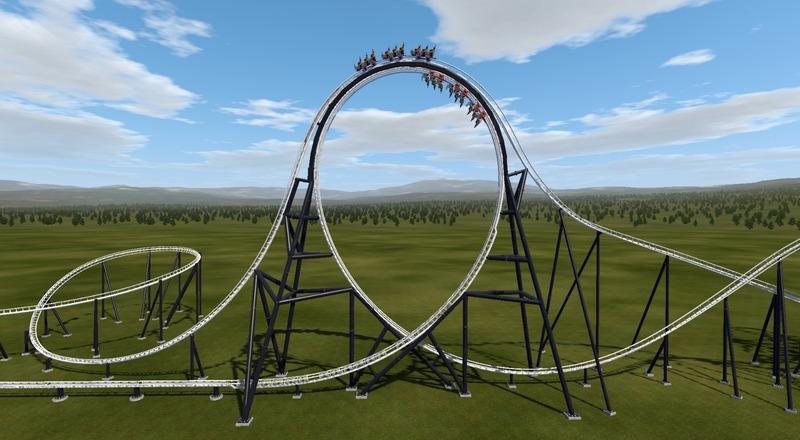 So far I just have the Inverted Coasters. I reshape the pretzel loop to minimize an intense G-force to 4Gs. That looks super clean - are all those supports in NL or is it partially 3ds? I think I'd just be stood there staring out the window as the coaster flew by! Yeah, All of them are in NL supports. I am disappoint... There are no Coastercrazy shirts. Is your Moonsault ride just as deadly as its predecessor? My park that i am working on. Absolutely no haha! I don't want to be a killer, so 4.3G is enough. I add the customs station and onboard sound into the ride. Here's the test run clip. The drop in the back pulls -1.5 in the back row, then goes down barely to -1.4, and finally another little bump back up to -1.5. The front gradually decreases until hitting -1.0, then begins to level out. My goal was to pull off sustained -1.5 in the back and see if I can at least get to -1.0 in the front, so I'd goal achieved. 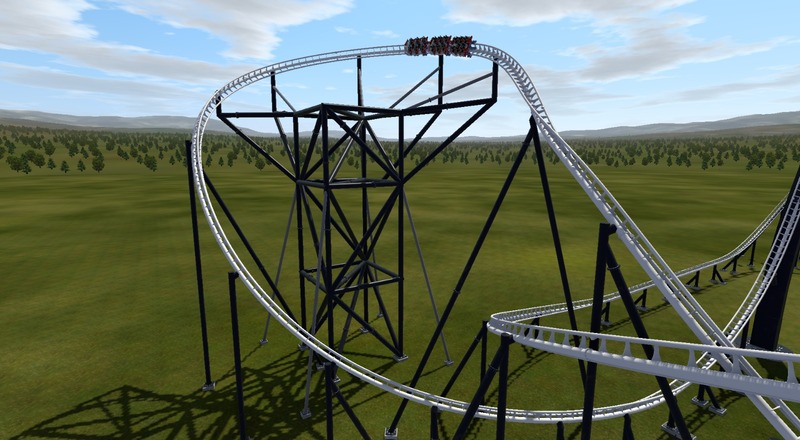 My new twin jet coaster! I added some more foliage and some detail to the station of my recreation from Robin Hood (which is closing today). DIdn't see that Robin Hood recreation - looks pretty awesome! That's awesome dude! I'm hoping to see the pov of this, especially from those small bunny hills. A watery hole in the floor of my Indoor FEC park.